What the world needs is more music-related tat to clutter up the fragile lives of normal people. 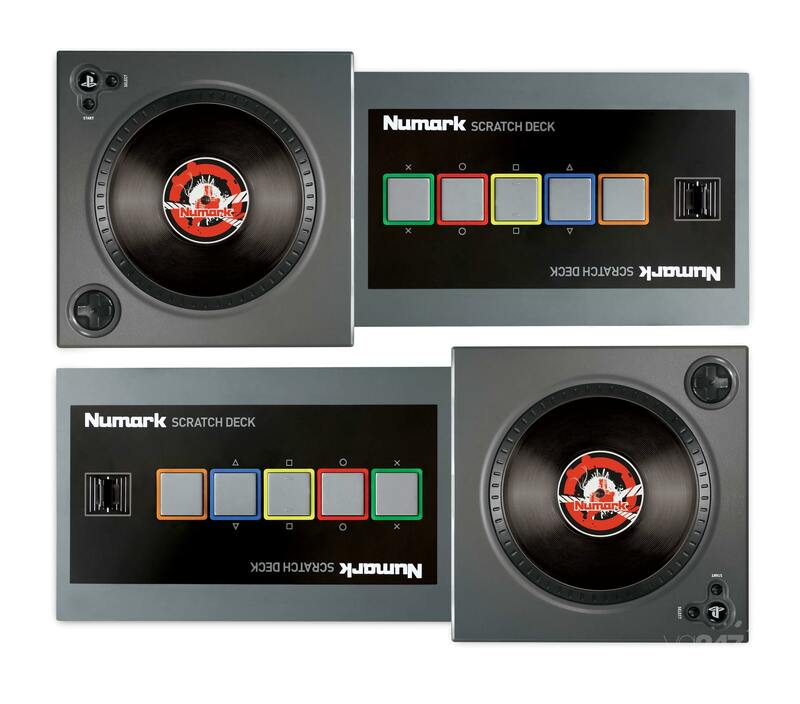 Thankfully, then, Numark and Genius showed the Scratch: The Ultimate DJ controller today, ahead of an E3 showing next week. We thought this was on a sticky wicket? Anyway. Press release and shots after the break. SCRATCH DECK combines two essential elements of the DJ and hip-hop experience – a free-spinning, touch sensitive turntable with a crossfader and 5 Akai Pro MPC-style drum pads. The turntable allows players to add their own style and manipulate the songs in real time, while the MPC-style drum pads give players the opportunity to perform and customize tracks by triggering samples using the very same pads that are the cornerstone of professional hip-hop beat production. Samples can either be pre-loaded into the game using 60 unique battle records that will ship with the software, or players can record and upload their own samples using a compatible USB microphone.